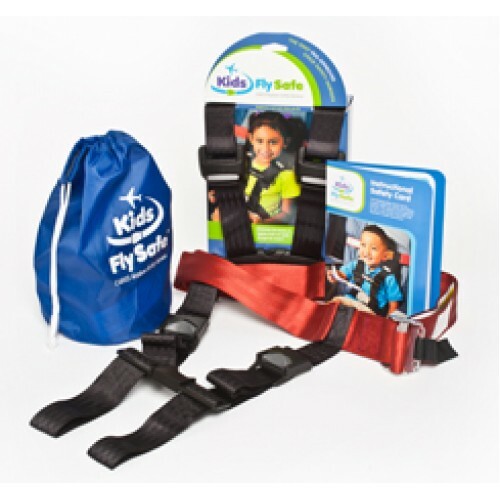 CARES Child Aviation Restraint System is designed specifically for aviation use for children age 1 and older who weigh between 22 and 44 pounds. These youngsters are old enough to be in their own seats, but are too small for the seat belt alone to protect them and provide the safety they require during airplane travel. Their bodies cannot withstand the jolts that are common in routine air travel, much less emergency situations, and they flail forward or slide beneath the seat belt if they are not held securely in place. 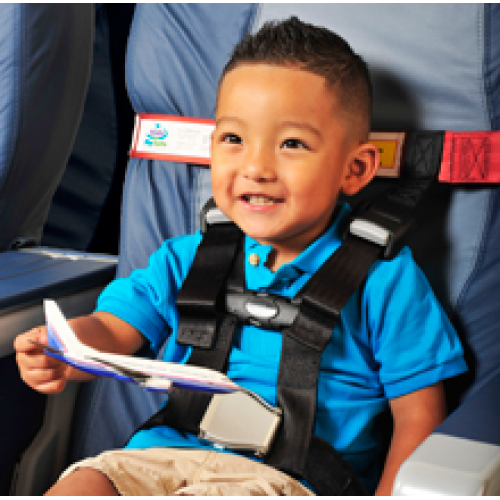 CARES is the first and only harness type Aviation Child Safety Device to be certified by the Federal Aviation Administration (FAA) as an alternative to a car seat. CARES is an elegantly designed belt-and-buckle device that works in conjunction with the regular airplane seat belt and provides young travelers the same level of safety as a car seat. CARES weighs just one pound and fits into a 6″ stuff sack! It is easily portable, simple to install, adjustable to every size airplane seat, and usable on any window or center seat in the airplane, except in the emergency exit rows. Need your car seat on the other end of the trip? Just check it through as luggage – and carry CARES on board in your pocket! CARES is manufactured exclusively by AmSafe, the foremost manufacturer of aviation seatbelts and pilot restraints in the world. (Turn over your airplane seat belt buckle. Chances are it says AmSafe.) CARES is made of the same industrial-strength webbing as your own seat belt and is engineered to the highest aviation-safety standards.